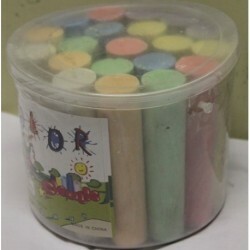 15pc jumbo sidewalk chalk in assorted colours in a tub. 2 designs of spirograph which includes a pen and book to draw the patterns. Hours of creative fun. Stencils may be used separately.